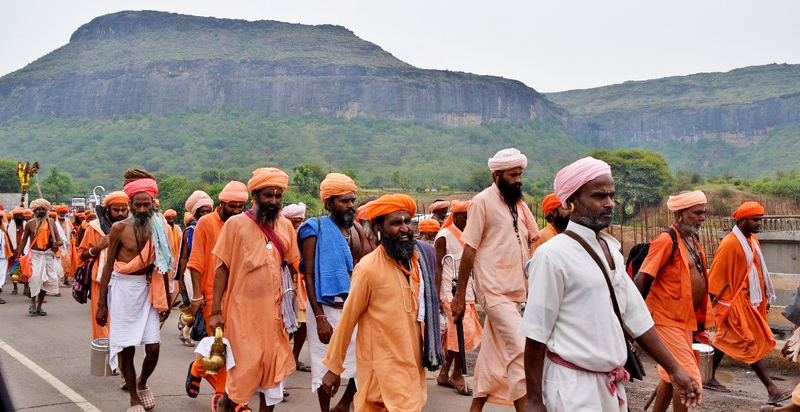 Pilgrimage with Mohanji is like walking with the Master of this creation. Some exquisite karma from past lives have given me this privilege to walk in the shadow of my Baba during Kumbh – a time when this Earth’s most enlightened beings come together for the benefit and uplifting of mankind. I had the rare privilege to take a dip in Kumbh with Mohanji twice in as many years (in Allahabad in 2013 and now at Nashik in 2015). I have come across many people who tend to equate the cleanliness of the water in the river to the cleansing of the soul. They often fail to see that the cleansing of the soul is beyond visual plane. And if done in presence of a Master, the effects can hardly be written down for analysis. Lifetimes of karma are washed off in a single dip! Lifetimes of karma are washed off in a single dip! After the dip in Kumbh, as I walked back to our transport with Mohanji, I felt a surreal sense overwhelmed me. It felt as if we had been transported back centuries, when Guru would lead His Shishyas back to the ashram after the morning bath – not just with a clean body, but with a clean soul from which baggage has been taken off. On the way to Shirdi, we ‘lost’ our way. Our Innova passed through a walking procession of Naga sadhus. Sitting near the window, as we passed them slowly due to congestion in the road from cows heading the other way, I saw the ‘rudra’ look in their eyes. Most of them looked at us, so angrily that at one point I thought that they might even attack us. After we had crossed them, we decided to have some breakfast. During breakfast we realized that we were on the wrong road and turned back. 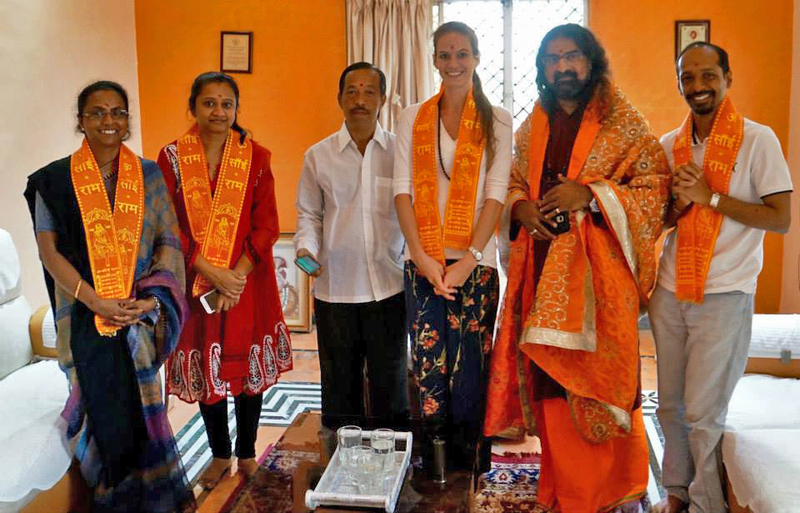 We crossed the Naga sadhus again. As we left them behind, Mohanji casually asked us, “So did you get their darshan (glance)?” Us mere mortals in the car, did not fathom what He was trying to say. 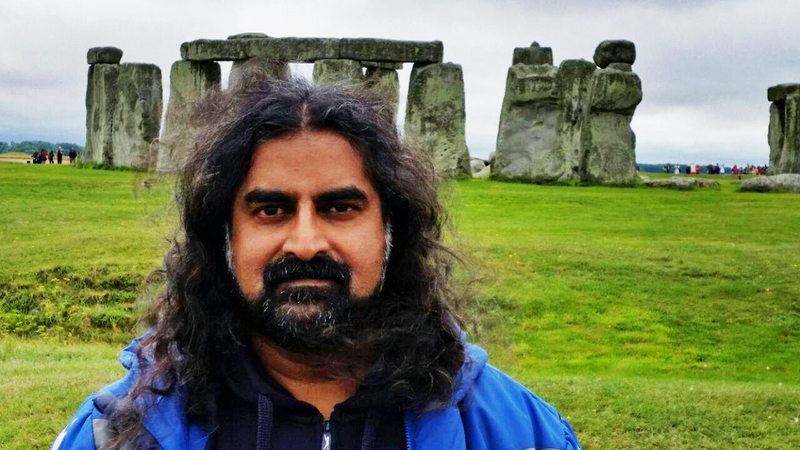 When we asked for the clarification, Mohanji informed us that within that group there were very high beings, who preferred to remain anonymous but gave us their ‘darshan’. Such is the leela!!! The unwarranted detour was for this cause. After this adventure, it took us some time to reach Shirdi. It was late evening – around 7.30pm. The bus and the second Innova was a good 15 mins behind us in the lead Innova, in which Mohanji was travelling. We stopped in front of Gate no 2 of Shirdi temple to assemble, so that we all could get passes for next day’s Kakad aarti. As my co-passengers were stretching their legs after alighting, Mohanji and I were still in the Innova. Suddenly, Mohanji asked Rajesh Kamath to give money to someone and touch His feet. I snapped my head up to look at the physical form of Sai Baba in front of our Innova. As the four people on ground rushed forward to touch Baba’s feet, Mohanji asked the driver to drive straight ahead to the hotel. My jaws were open, my hands were folded in prayer. I was still in awe. I could not even ask Mohanji’s permission to get down and touch Sai Baba’s feet. My mind was blank. As the Innova passed Sai Baba, Mohanji and Sai Baba looked into each other’s eyes and gently nodded. So much was said in that single nod, yet no word came out of either one’s mouth. In a flash of a second, I came face to face with Sai Baba. For the first time in this life, I looked into Sai Baba’s eyes. Oh what a gaze it had! Such intensity and yet love! Like a robot I also bowed to Sai Baba and he nodded back at me. Hey Bhagwan! Hey Bhagwan! How can words describe this darshan of Sri Guru Datta Himself? We reached hotel and even while I was still in my daze, Mohanji asked me to accompany Him to visit Shirdi temple. This was my first visit to Shirdi temple. I always had a secret wish, that I should visit Shirdi with my Baba – Mohanji. Even this little wish was fulfilled. I have heard that Shirdi is always teeming with people for Baba’s darshan. One can imagine the state, during Kumbh when extra millions were visiting. To my utter surprise but not completely unexpected when one is with Mohanji, we entered the main line (Mohanji specifically said that everyone is same in front of Baba and no one is a VIP), had darshan and came out in about 9 mins or so. 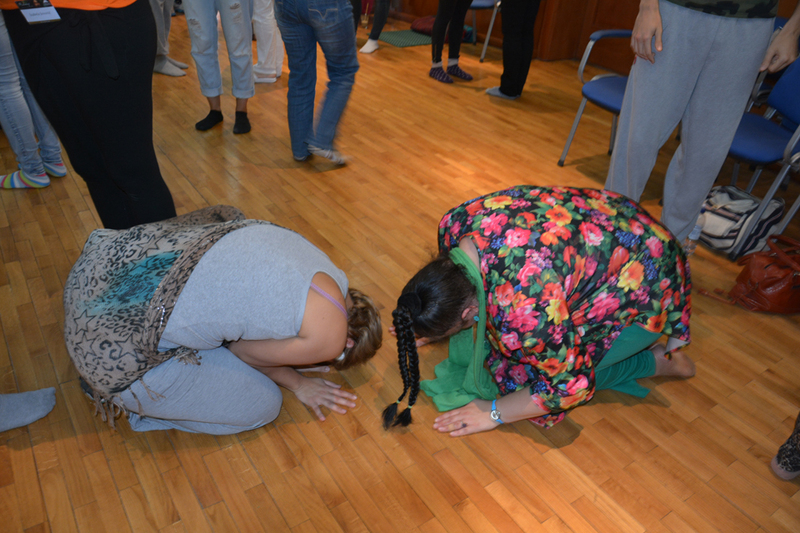 This included an opportunity to prostrate fully on the ground in front of Sai Baba’s murti (which is unthinkable as hundreds of people walk there every minute). 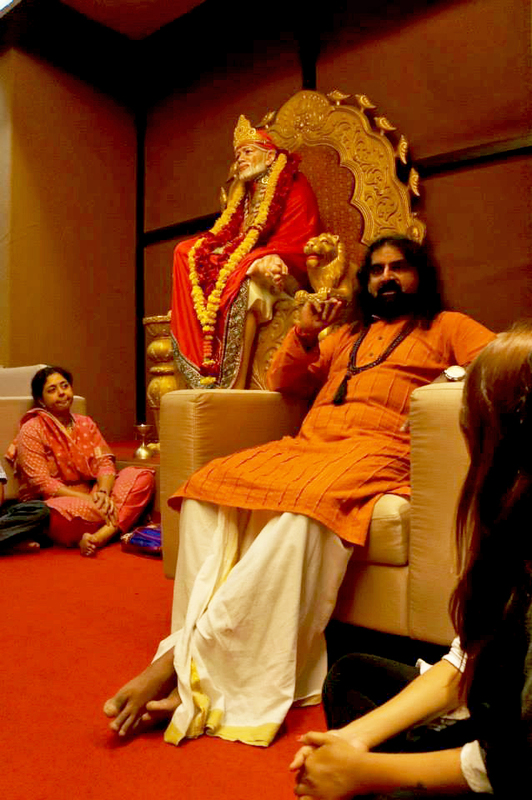 My first visit to Shirdi has begun….and how! Early next day, after Kakad aarti, we drove to meet Sulake Maharaj, the head priest of Shirdi temple. He was disappointed that Mohanji was there for a brief visit and was not staying for lunch. He requested Mohanji to kindly get up from the long sofa he was sitting on and guided him to sit on the main chair in the center of the room. After sitting Mohanji there, Maharaj smiled and said, now the correct person is sitting on the main chair! It was such a joy to see Sulakhe Maharaj gush all over Mohanji. He wrapped around Mohanji, Sai Baba’s dress with which Sai Baba’s murti was wrapped in the Shirdi temple. Mohanji gave me the privilege and the honour to hold this dress as we travelled to Shani Signapur. Throughout the journey, the divine perfume from the dress kept me in a state of bliss! As the pilgrimage came to a close, I should have known that those effects could continue for days. However, I had not expected that actually I could immediately fall sick with high fever. As the fever came in ebbs, I realised that this was cleansing occurring at its best. The fever finally left me after 2-3 days. The funny part was, I did not even feel weak. Now I wait eagerly to get my Guru’s permission to go to the next Kumbh Mela! 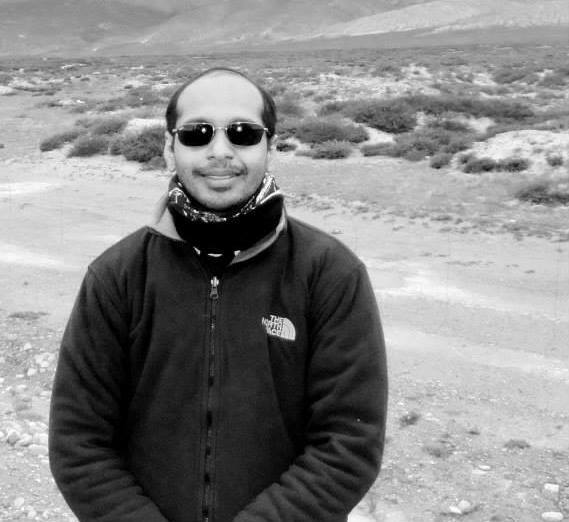 It all started when Mamu (aka Narendra Rohmetra outside the Mohanji community) asked the group accompanying Mohanji to the Kumbh Mela to pen down their experiences during the trip. I was wondering how and where to start. Then, I remembered what Mohanji told the group during the satsang (spiritual discourse) at St Laurns hotel in Shirdi. He said, “Commander took me to Baba” (I work for the Indian Navy and Mohanji calls me Commander). Of course, it was his unique style to show his humility but I guessed that now it was now my turn to provide humor from the ‘usual’ ones viz. Mamu, Rajesh Kamath and Vignaji about whom Mohanji often quipped to keep the environment lively. Before coming to the subject matter “Commander took me to Baba”, first with all humbleness I would like to thank Mohanji for accepting me for ShahiSnaan (ritual bath) at Nasik, visit to ShaniShingnapur, Shirdi, Samadhi of Upasani Maharajin Sakori and Dandakvan Ashram in Gujarat. First the ‘ShahiSnaan’ at Nasik with Mohanji was an amazing experience in all aspects, for which there are no words or descriptions. As they say, “The only substitute for experience is the experience itself”. 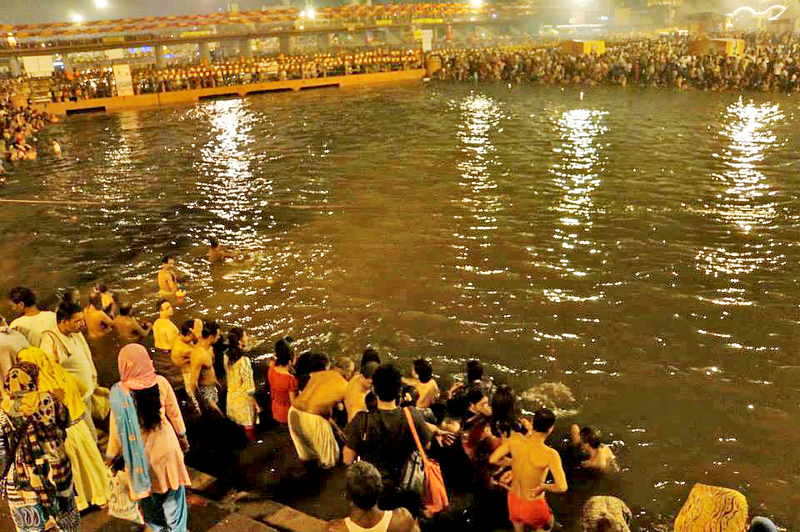 Nevertheless, one thing is for sure that my idea of Kumbh crammed with thousands of devotees taking bath at the same time vanished in thin air. Imagine 7 million people congregating in a town for the Kumbh within a short period and you will get the picture. With Mohanji, we took just 45 minutes to complete all the activities at the holy Ram Ghat. 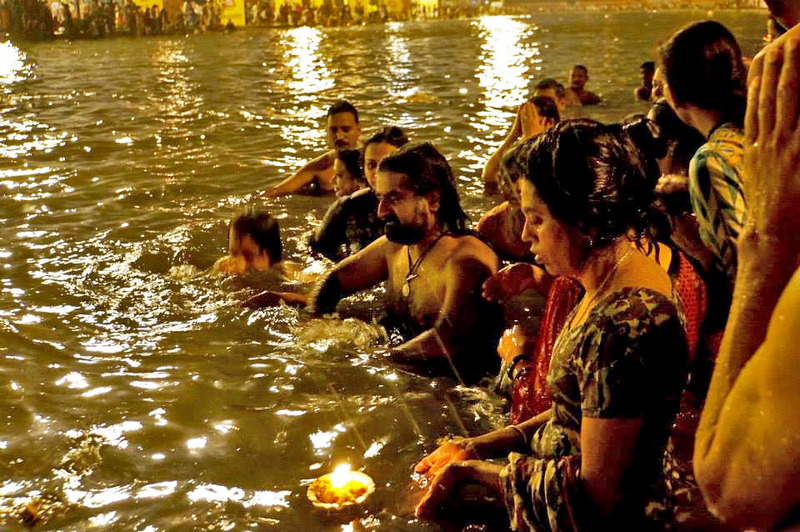 With the grace of Mohanji, the Kumbh ‘ShahiSnaan’ seemed to all of us like a cake-walk. Coming to Shirdi, when we were checking-in at St Laurns hotel at Shirdi, Nikita informed me that Mohanji was talking to Anand Joshi from Mumbai in Mohanji’s room. 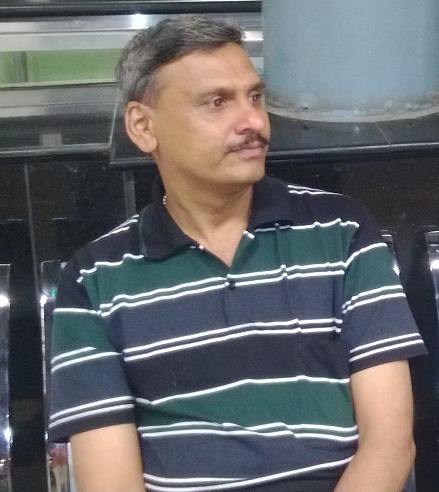 My wife Reena is connected with Anandji on Whatsapp and I had happened to read the wonderful content/answers sent by him for the various questions that she posed. I thought of meeting up with him. Therefore, I was roaming somewhere outside Mohanji’s room hoping to get a chance to meet Anandji. After a few minutes when they were done with their conversations, they came out and Mohanji looked at me and said, “Let’s go to Sai Samadhi Mandir”. The group was totally dispersed as they were busy with the check-in. Mohanji again said, “Let’s go to Sai Samadhi Mandir” this time looking at DB (aka Dear Brother) from Gurgaon. Earlier somebody had asked me the full form of DB and I said ‘Dear Brother’. 🙂 I was walking ahead of Mohanji. When we were passing the VIP gate, somebody said that the Mandir’s pujari was supposed to have come here to take Mohanji but he wasn’t there. Mohanji immediately looked at me and said, “Let’s go, there are no VIP’s in front of Sai Baba”. Immediately, we started walking through the general gate where devotees were lined up for taking a darshan of the holy Sai Baba. Generally, it takes many hours to get through the serpentine queues before you get a darshan (holy sight) of Baba. And these were the days of the Kumbh Mela where the crowds would have been multiplied many times over. Now this is where the readers have to believe that we were in front of Sai murthi (statue) in less than ten minutes. I call this experience a cake walk (Mohanji also does other walks such as Conscious walk and I will try and explain the relation between the two later). Seven minutes is my guess, maybe it was nine minutes (one minute for each ‘Navadha Bhakti’ – the nine forms of devotion). I really don’t know the exact timing and its reasoning as it is beyond my awareness to comprehend. Maybe I will ask Mohanji in our next meeting. The second unbelievable part for the readers is to know that we were right in front of the Sai Baba in the middle of the hall. Normally, people depart from the door behind the Baba’s murthi. We got to walk back through the central passageway getting ample time to look at the adoring image of Baba as we left the temple. At the end of the passage, Mohanji and Anandji hugged each other as if they were long lost brothers who were reunited and Sai Baba kept smiling at both of them like a benevolent father. I again submit that I am not sure of why I was made a witness to these wonderful events that are beyond my awareness and comprehension. Thereafter, we came out of the mandir and proceeded to ‘Gurusthal’ (literally “place of the Guru” – the place where Sai Baba spent most of his time when he first came to Shirdi). Later, after the dinner, all of us were gathered in Mohanji’s room at the hotel and Mohanji remarked “Commander took me to Sai Baba”. Here, the readers are advised to use their conscious mind to make out ‘who’ took ‘whom’. But with an unconscious mind like mine, I know that Mohanji must have visited Sai Baba at Shirdi a zillion times and, in all humility, he wanted to give the credit to me (believe me I had no role at all). 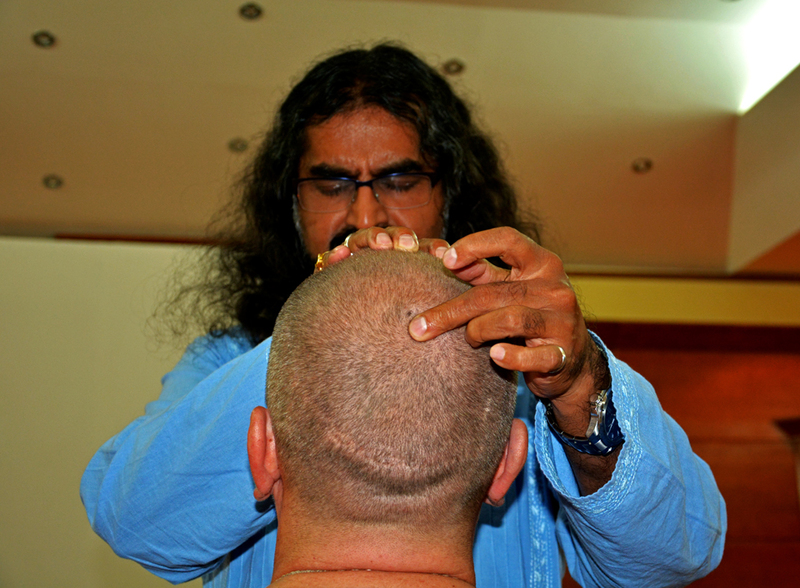 People on this trip had been talking about chakras (spiritual centers in one’s body) and other advanced spiritual topics and techniques and their usefulness in connecting to one’s Guru. But I know nothing about this. All I know is that my Guru Mohanji is an epitome of humility and does walk-the-talk. This is the third walk apart from the ‘Conscious Walk’ and the cake-walk with whom Mohanji is associated with. I don’t know how many other walks are there in his bag? 🙂 But if I may guess the relationship amongst these walks — On the path of life, if we walk Consciously whilst doing walk-the-talk, then life will be a cake-walk. 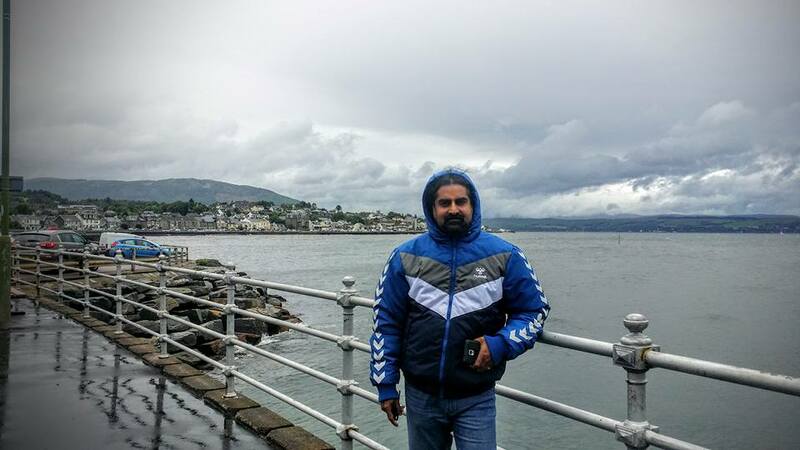 If I am able to walk on the previous statement then I am sure my Guruji would smile at every mile of my walk. 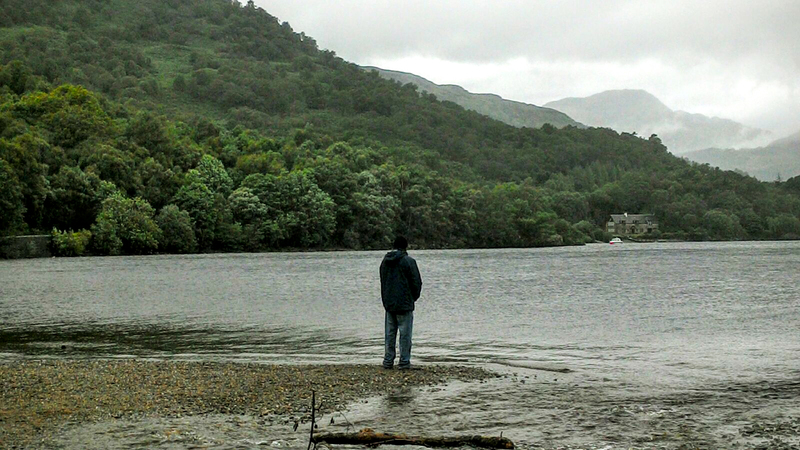 On a wet and windy morning our cruise on the Scottish Loch Lomond, due to incumbent weather conditions, got cancelled! 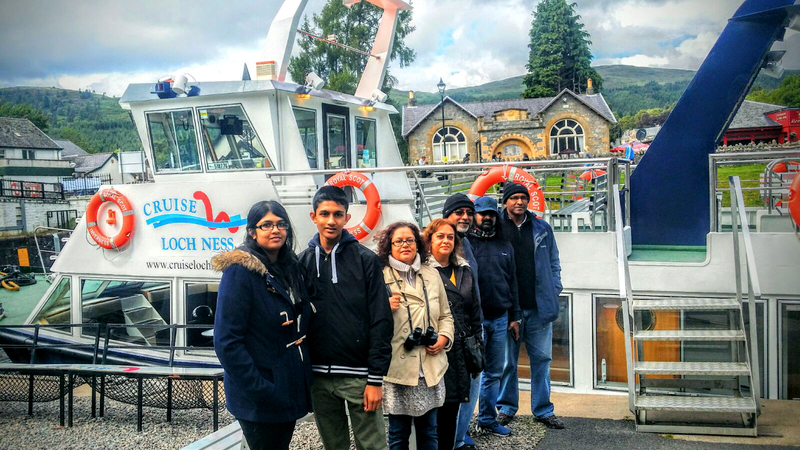 (if only they knew that wherever Mohanji decided to stop during our many photo spots the sun always shone despite a continuous wet and windy Scottish summer)! 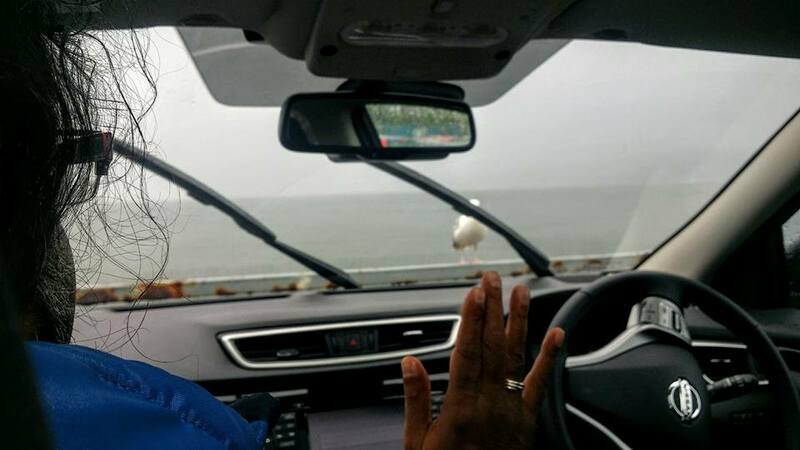 Waiting in the car for the others to decide where to go, a beautiful bird perched herself on the sea fence directly in front of Mohanji and made herself very comfortable watching him intentently, even the windscreen wipers at full speed did not unnerve her. It was beautiful witnessing such intensity in our winged friend. She was bathed in Mohanji’s divine presence as he did shatipat on her. Our feathered friend gave her full focus and was peacefully mesmerised and emersed for a long time in Para Brahma divine presence. 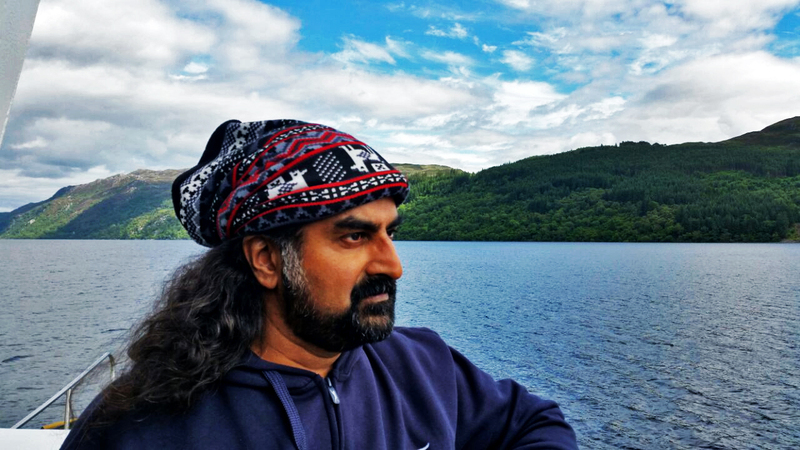 The seed for the Scottish rendezvous was sown in November 2014, seven days prior to the Himalayan Retreat with Mohanji. 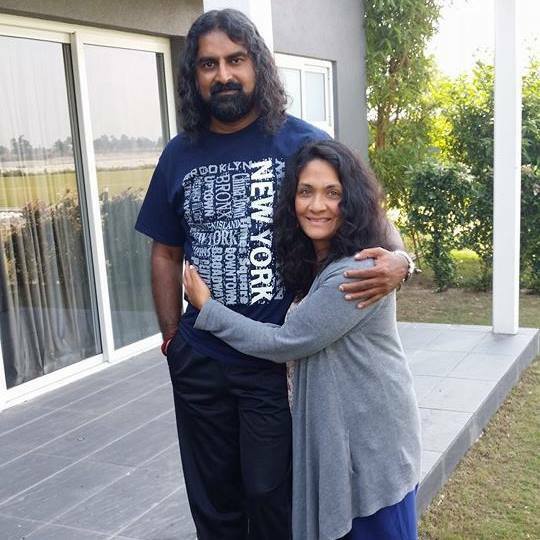 And this is how the story unfolds – Before proceeding to Rishikesh to join the Himalayan Retreat, my intention was to spend five days with Him in Dharamsala . And Mohanji had promised to be there and fulfil my desire for a mystical rendezvous with Him. But Mohanji’s plans are prone to changes as He is very spontaneous. And sure enough, the plans changed and Mohanji couldn’t be there in Dharamsala! Needless to say that I was aghast and felt dejected. However, I did have a fabulous time in Dharamsala with other very special people but the dejection I felt was acute. I had felt let down by Mohanji, but little did I know about what was to come and how the Divine works. Shortly after the Himalayan Retreat, I returned to London. 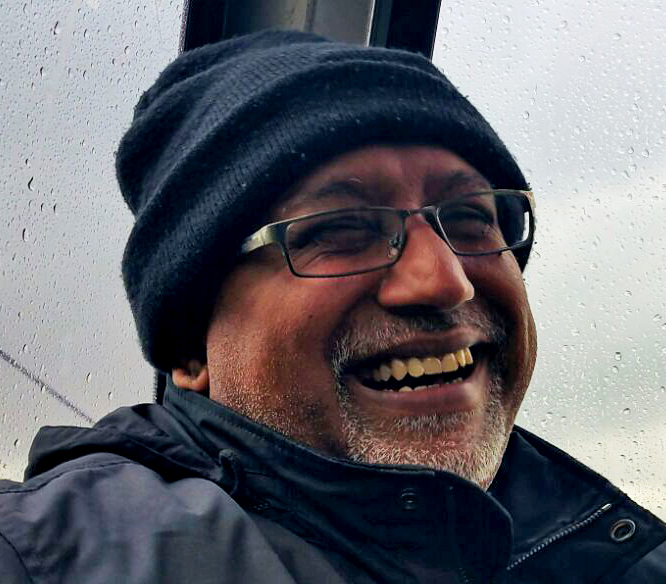 Within a few months, in February 2015, I found out that Mohanji was coming to the UK, and a Retreat in the UK had been arranged! 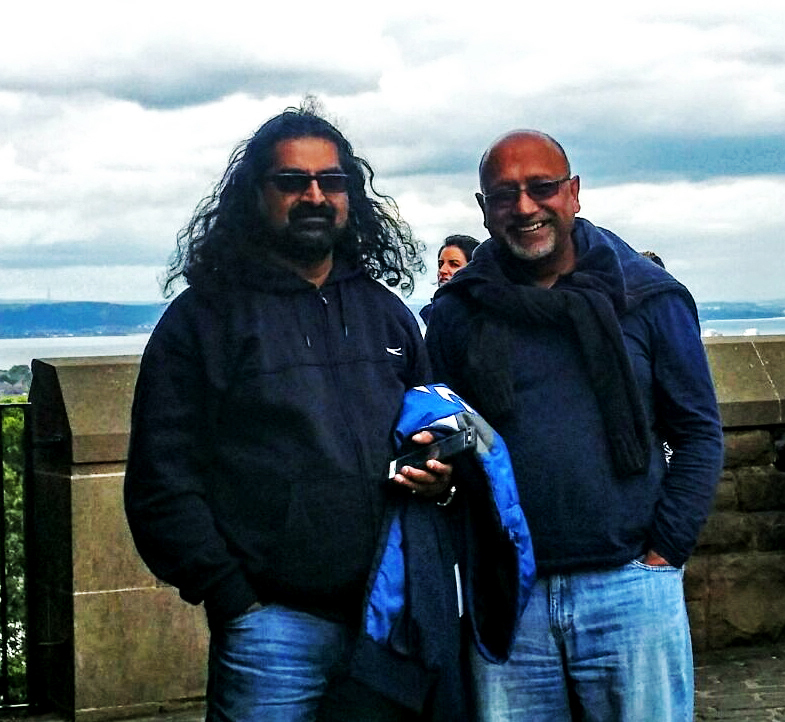 Surprisingly, it came to my attention that Mohanji had asked his team in the UK to allocate five days, after the Retreat to spend time with me! On hearing this I felt totally blissful and tears rolled down my cheeks. A realisation spontaneously happened – Divine always fulfils what it promises and that is exactly what was going to happen, the only difference was that it was happening in the UK as opposed to Dharamsala in India. The feeling of disappointment and let down had totally melted away as this new awareness dawned upon me. I was blown away! 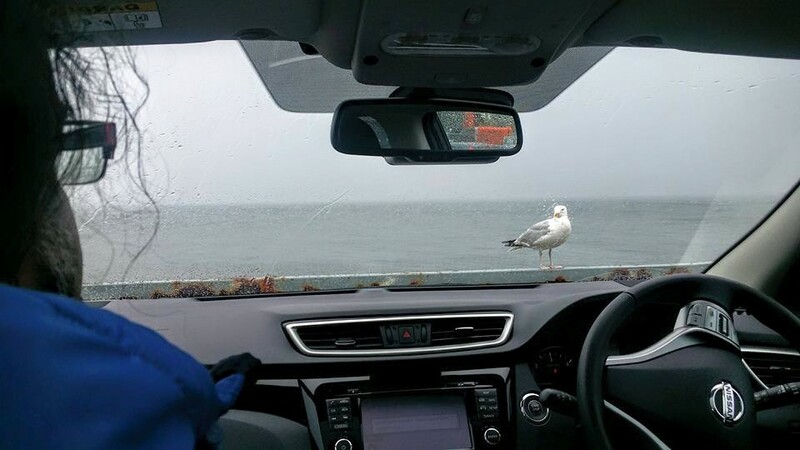 I planned a Scotland trip. 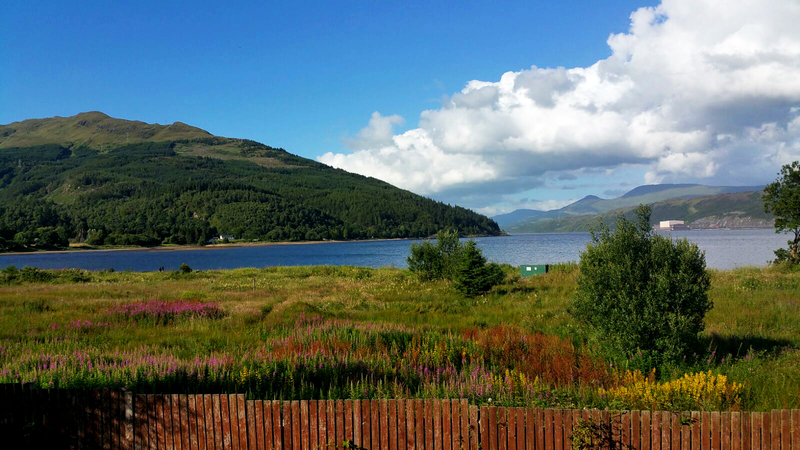 We travelled from Heathrow to Glasgow airport and drove down to the cottage that had been booked, which was approximately an hour and a half from the airport. It was located in a very serene and peaceful area with a magnificent, enormous lake literally in our back garden! 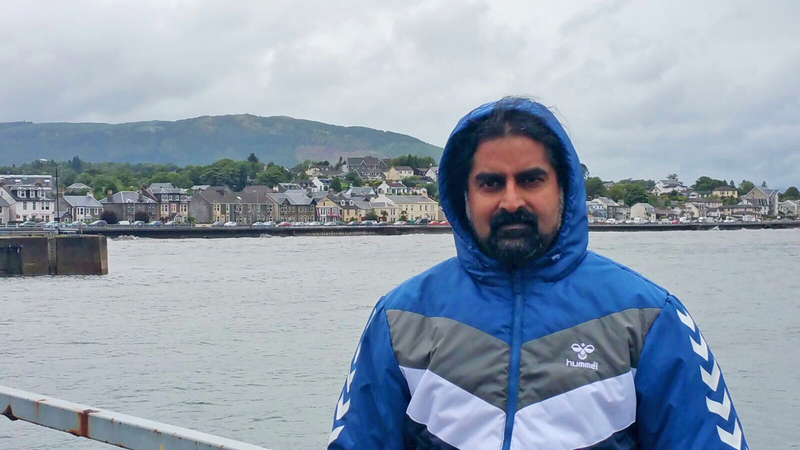 visited Edinburgh Castle, and went on a very scenic cable car ride at a mountain sports place near Ben Nevis. 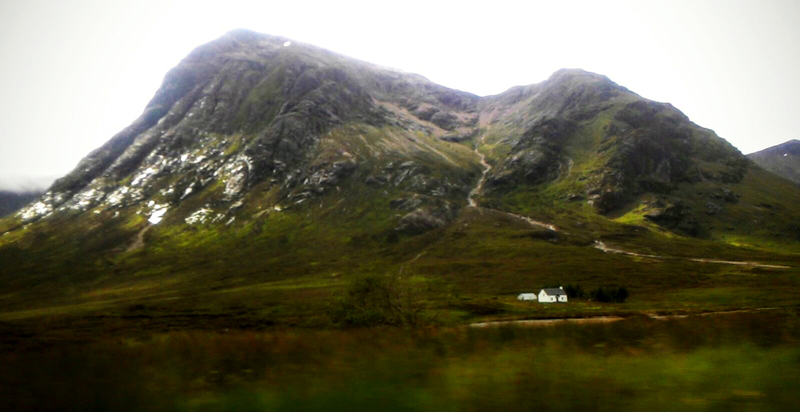 We also drove through the Highlands and truly enjoyed the beautiful mountains, lakes and the vast green countryside. 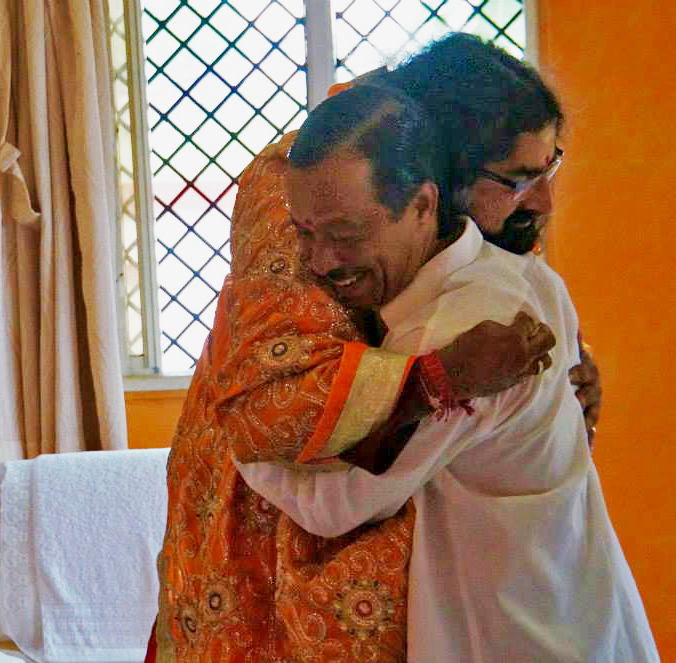 This was an extra special trip because the Infinite, Divine incarnate, Mohanji, was with us. A very deep stillness infused with peacefulness was felt throughout the trip with numerous so called miracles happening along the way to make our trip safe, special and comfortable. I will just mention a few of these in the following paragraphs. At Glasgow airport, instead of getting the normal small Hyundai hire cars that we had ordered, we ended up getting Nissan Qashqai’s which made our travelling very comfortable. Despite the rain, we never got wet. It would stop raining and the sun would peep out to say “Hello”, every time we got out of the car for sightseeing. 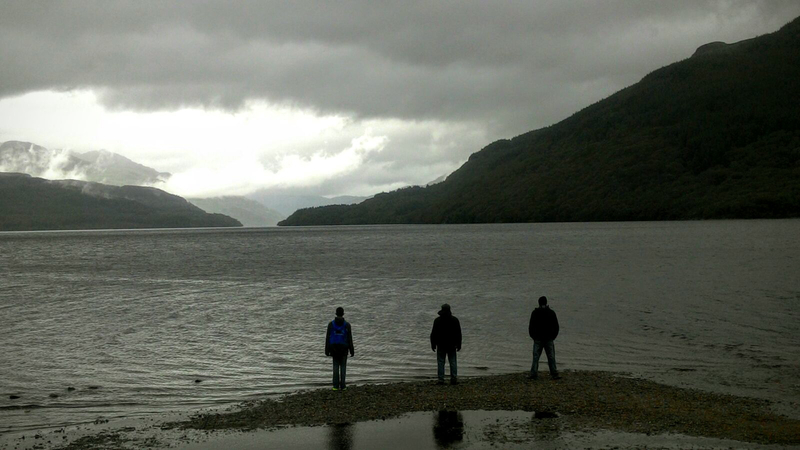 It was as if the elements had an agreement, that they would not spoil our trip in any way. 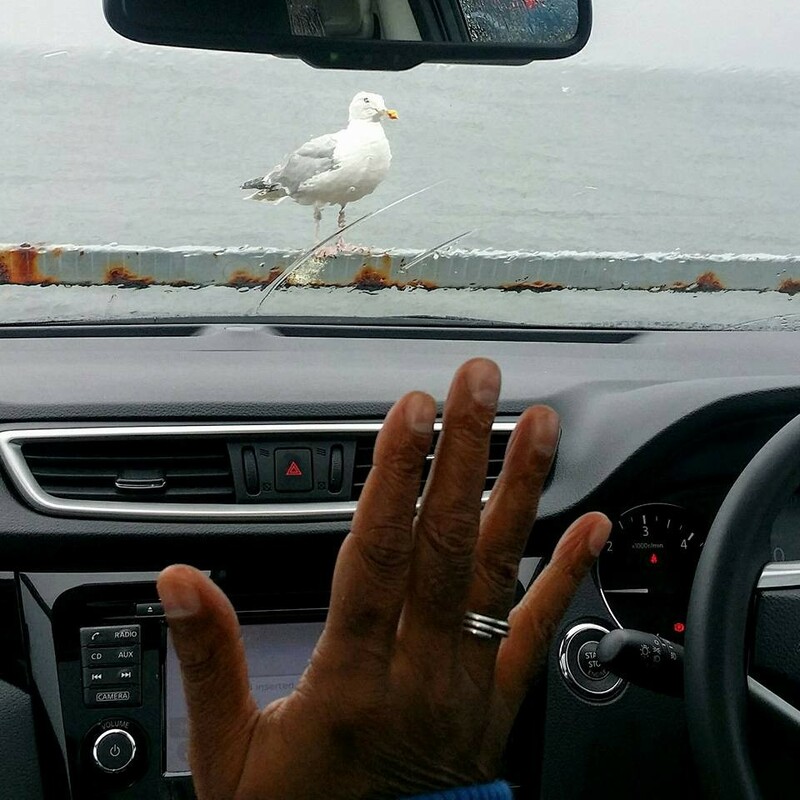 Travelling to Loch Ness on the fourth day, something strange happened. Mohanji knew that I wanted to stop smoking and that I was trying hard to give up but it was proving very difficult. He asked for my mobile phone and started taking a video of the countryside and then slowly pointed the camera towards me. As I became aware of the camera pointing at me, something happened within me, and laughter broke out from my inner being. No matter how hard I tried, I couldn’t stop laughing! My sides ached with the intensity of the laughter. It was as if the wall created by the mind, that had been preventing the infinite joy sitting within my being, was suddenly destroyed and the joy came flooding like a tsunami – the end result was “the laughing Buddha”! After this experience my smoking dramatically went down. and after a fit of painful laughter that followed, Mohanji said something to the effect that smoking had gone. I have not touched another cigarette since! This gift given to me by Mohanji, of taking smoking away from my constitution, has made my inner connection with the Divine energy much, much stronger than before. My past seems to be fading fast and remaining in the present moment seems to be my new reality more and more. Mohanji also said that laughing from the core, the heart, is probably the most powerful form of meditation since it leaves you feeling totally empty and believe me I have never felt so spaced out as I did then. On the way back to London, on the plane, whilst in the air, above the clouds, I saw something incredible. When I looked out of the window I saw the shadow of the airplane on the clouds below, and amazingly there was a ball of light surrounding the shadow of the airplane. On landing at Heathrow I told Mohanji about what I had seen. He merely acknowledged what I had said and smiled affectionately, as he always does. M: Those who have attended until now- how do you feel? M: Two days are not enough. What we have spontaneously and unknowingly collected for life times, cannot be changed in two days. But at least we made progress and I can see the changes on your faces. Anybody who wants to talk further about it? This is your chance. Because tomorrow, I have to board a plane. 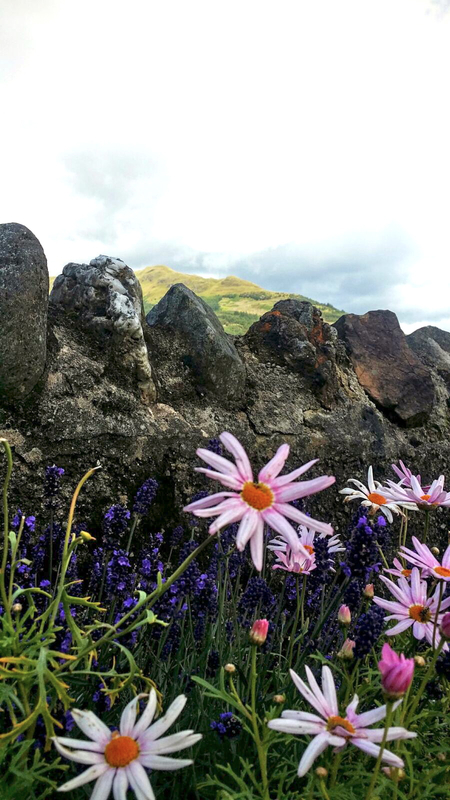 Participant 1: I am grateful for this special beauty that we shared here; for the honest exchange and opportunity for growth. Participant 2: I am grateful to you for reminding us to look each other in the eyes. I usually do it with children, and now I felt it with adults. M: We have stopped looking at each other’s eyes these days. Earlier we used to communicate directly. Now it’s all on the computer or WhatsApp. So we lost eye contact but when we talk directly into the eyes of people, it’s a huge difference. We also see the reflection of ourselves. All the people we meet, have something to do with us; doesn’t matter whether good or bad. There are no coincidences. Everybody is related some way or the other. I also insisted on respecting the other person. Some of these people have been connected to you in your past lives or in your ancestral lineage. So you are actually paying off the debts, honouring the other person and then correcting or cleaning the path. Thus whatever comes to you is good for you. Sometimes the effect may be painful, but eventually you will know that completion has occurred. What did you see in the people? M: Each person was expressing different things, you see? This variety is the beauty of the world. There is a reasonable theory- imagine you have taken a thousand lives in various bodies as animals, birds etc. We carry an essence of every lifetime in each incarnation. So there is always a history behind you seeing various beings in one person. This is why I said we need to respect and never judge people. Because you have no clue what they or you have been! M: The best way to handle life in this world is to be strong. If you are strong and powerful, you will then be unaffected even if you encounter certain energies. This is why we were talking about prayers and chants. The atmosphere is very, very turbulent now. The best thing to do is chanting. 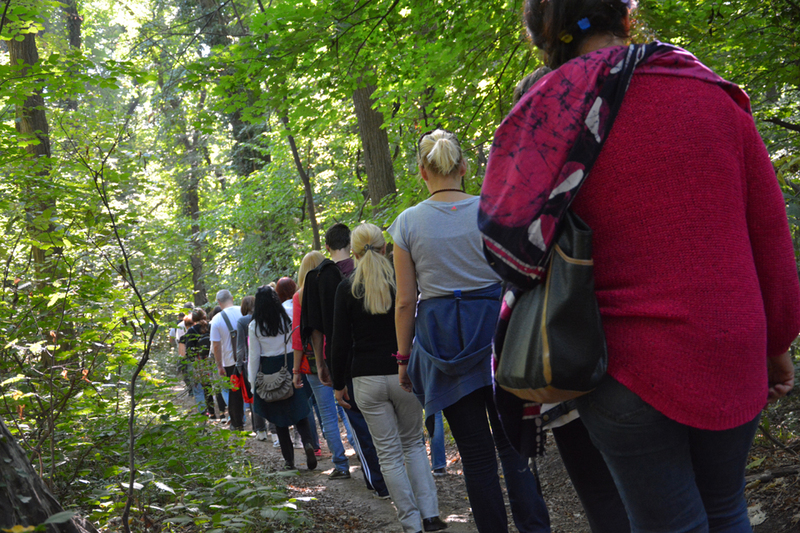 What did we experience during Conscious Walking? When your own energy circulates inside, you are extremely powerful. It proves you already have more energy than needed to protect yourself. But you spend a lot of energy in daily life. It is like you earn 1000 euros and spend 1500 euros. So what happens? Constant debts. Do you ever see a child without energy? M: The parents do not know what to do with them! They are so energetic. This means we have it but we spend a lot more. We are tired of always chasing something or the other in life. The problem is we sometimes even lose track when we chase more and more. This takes a lot of power and energy. What did I say in the morning? All the things like mind and ego, which you have brought at the time of birth, are good for you, provided they are in their natural form. When anything is oversized- whether mind, body, intellect or ego- it’s a problem. Participant 4: We know the size of body and mind. What is the natural size of ego? M: If I ask you, “Who are you?’’ Then you will say, “I’m so and so.’’ That is your basic ego identification. You are identifying yourself as this incarnation. That is the natural size of ego. Whatever else that we collect- “I am so and so, people should respect me.’’ is enhanced ego. Then we suffer because of expectations. Participant 5: Thank you for showing me to feel the sky beyond simply seeing it. And for having taught to look into the soul of these beautiful people. Today I saw some past lives – even animals. I saw and felt that we are one. M: How often do we connect to the sky? People say the sky can be connected to the throat, etc. But when sky is connected to your heart, your dimension changes. Participant 6: I felt so exhausted and I couldn’t stand. When I finished looking into each other’s eyes, my heart wanted to explode. I couldn’t feel my arms, my legs, nothing. I felt empty. M: Empty yourself. That’s exactly the point. This is the beautiful state to be in. When you need so many things, you are stressed. But when you are empty, everything comes to you. Participant 7: I actually saw nothing, I just felt different feelings in different parts of body. When I felt heaviness here in the chest, other people cried. M: All energy and people are connected to us. We are just preoccupied with ourselves, so we fail to see this connection. We are unaware that we are actually big transmitters. This is what you felt, heaviness in your heart actually affects somebody else too. That is why all the masters repeat like parrots- do good, feel good, help everybody, hurt nobody. Because this creates the vibration. When your vibratory level changes and you are peaceful, there is a difference in the world. Participant 8: Initially, I mostly felt that people wanted to sense some support, to tell them they are loved, everything is going to be fine. That was my impression. And I was too tired and had a lot of pain in my forehead. M: Didn’t I tell you not to hug? Participant 8: I didn’t hug. M: I know you didn’t. We collect so fast. We are like a sponge. Participant 9: I felt an amazing release by connecting with the eyes, praising and honouring the other person. Looking in the eyes was an immense experience. I had a feeling of release- like receiving or giving forgiveness. I felt light and bright in connection with all those people I met today. Participant 10: During eye-gazing, I felt my breathing, some high energies, but afterwards, I felt terrible chest pain and had to sit down. Participant 10: It has gone! M: I do my job. Participant 11: I felt very happy. I was looking at people like this (showing a big smile) I just couldn’t take off the smile from my face. My strongest or the loudest thought was “Good to see you again,’’ for each next person. M: There is a link which brought all of us together. Some people figured it, some didn’t. There is always a connection and always a conclusion. Participant 12: I just want to say that my impression is the same like hers. Participant 13: I would like to share my experience with others who were not present. How to do that? M: Simple. Live it. Live that experience. If you express what you are, the world will be brighter. All I wanted to prove in the last two days is that you are everything. There is nothing to borrow from anybody. Everything you need, you have. That is why we also call this programme “Return to yourself.’’ This is the whole point. Participant 14: I am grateful for everything in the last two days. M (seeing through him): You have a full book to write. 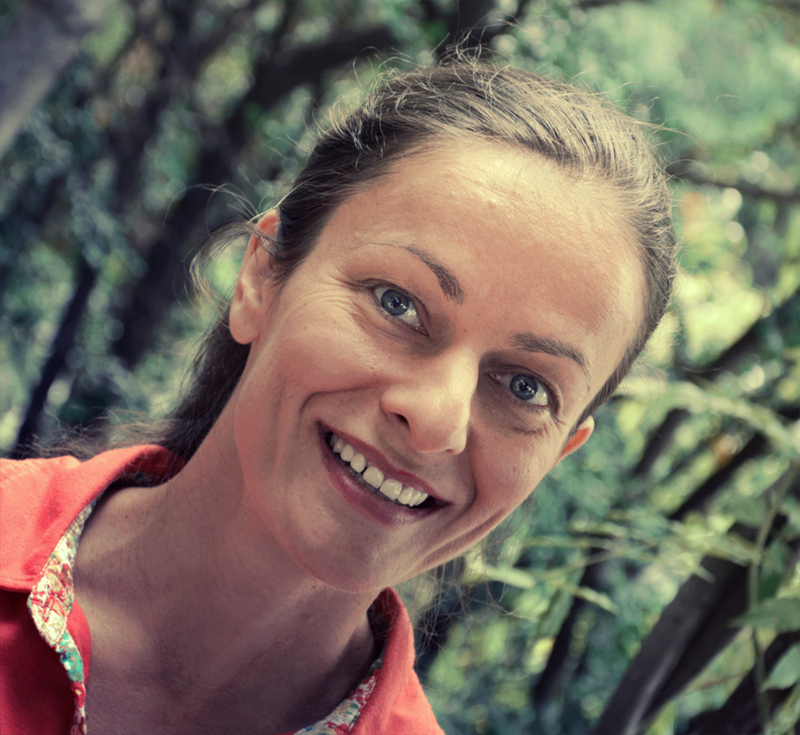 Participant 14: Now I’m thinking what to say… People should change the way we communicate among each other. When we started communicating with our hands and eyes turned to each other, I felt we were all one. Everything was so honest. Participant 15: I’ll be short because I have to translate. Participant 15: I’m sure Mohanji knows this, but I’ll say this for the rest of you. I am really thankful. I am going through a rough period. I had a certain outlook and thought things had to be that way. Then I came here this weekend and I was being thrown here and there, up and down like in a washing machine. Slammed on this wall and that wall. My heart was all over the space… I was happy and I was sad. He just kind of shakes you up and then I thought maybe that isn’t the only way, maybe there is another way I should look at things. So thank you very much! M: I had only two days. And you learnt the Chinese as well. I know I wasn’t but I had just a feeling I was, haha. M: I am thankful for this group, it’s a wonderful group. It’s a pleasure. Because as I increased the temperature, you just went with it. Yes, sometimes people cannot take that intensity. The group was beautiful. Wonderful team. So I could take you somewhere. It all depends on the response of the people. It is not that anybody can roll over. You were ready. That is willingness, that makes the difference. Didn’t you feel like a family, all tied together? How could that happen in just two days? This is the involvement. Participant 16 (hardly suppressing tears): You just took my words. I am eternally happy and grateful that I met my family. Thank you family. 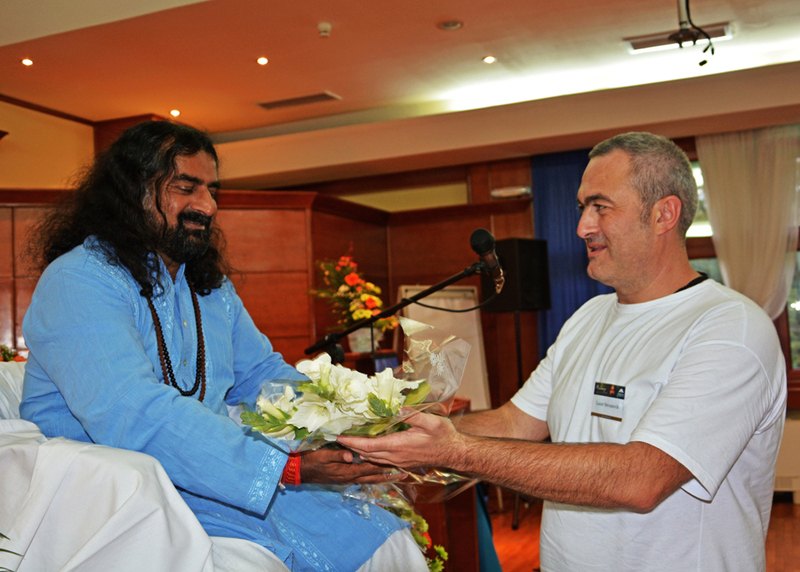 Participant 17: I didn’t attend the full programme, I came just for the open satsang. You said in the Power of Purity Book that you get what you deserve, not what you desire. I am experiencing a lot of negativities because it is my heavy karma from the past. A sort of chronic loneliness and I cannot get rid of it because it is deep in my unconscious. How to change this? M: I am not explaining where you came from past life or why you are experiencing this because that’s not important. Right now as you sit here, keep connecting to me and before we close this, come to me. Just try to connect to my energy, right now while sitting there and before we conclude, I’ll meet you. I will do what I can. Like Jesus said in the Bible, “Let your faith heal you.’’ You’ve come here, so I should heal you. Participant 18: In our tradition it is normal to shake hands or hug. How to politely refuse shaking hands with other people? M: You can put hands in namaskar. As I said, strengthen yourself so that even if you shake hands with a thousand people, nothing will happen to you. 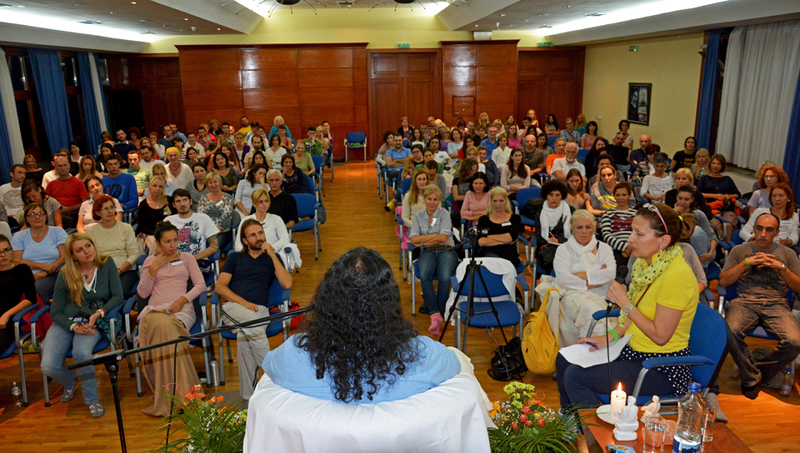 If you are connected to my consciousness, or consciousness of Baba, or Jesus… Stay connected. Stop being you. If you stop being you, then all the problems associated with you will also stop existing. That means you should be connected with your mind to the consciousness. Imagine mind is like a car. Park it in my garage. Participant 4: How can I know for sure that I parked my mind in your garage? How do I know? How to practise it? M: Just remember. Start with just remembering, my image or whatever. When you remember something, you connect; you tend to go into that energy field. The thought is the first level of creation. Like when there was pain in the chest, it got reflected in other people. When you remember, think or talk about a particular person or entity, you are connected to them. Positive or negative, it’s the same. Energy is alive, right? When thought happens, energy is released. “May the functions be auspicious. Keep my photo facing east. I shall be there and you will know my presence. 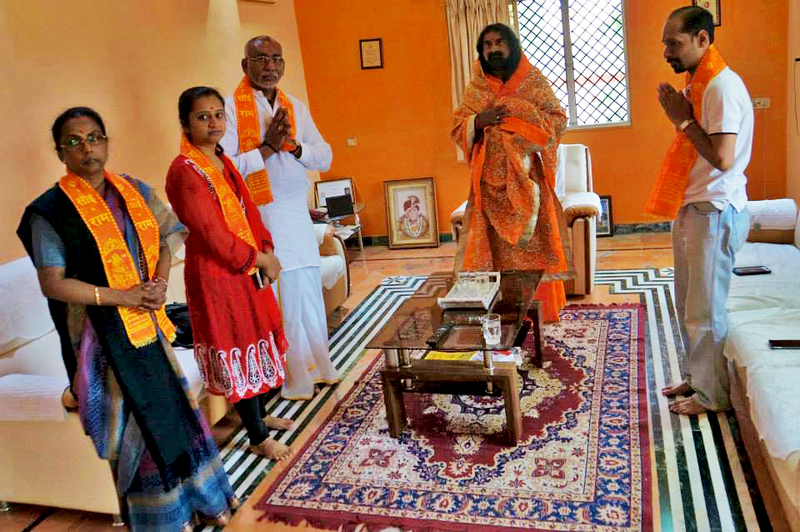 I shall stay there too.” This was the reply from Guruji from Serbia when I invited Guruji and Bibaji for my housewarming function planned 28th May, 2015. Before Ganapathi Homam and Devi Pooja started, I had kept Guruji’s photo in my Pooja room facing east. The homam and pooja got over very early in the morning. Priest (Mr. Ajaykumar – my cousin brother) told me that the pooja went well and he could feel some special energy field during the pooja. The same day, in the night, after the dinner, my wife, her family and I were sitting and chatting. We saw a Black coloured Butterfly appeared (Yes! I mean it. It just appeared in the room because all the windows were closed) in the room and sat on the wall. My wife, her sisters, their children touched the butterfly. IT didn’t move even a bit. 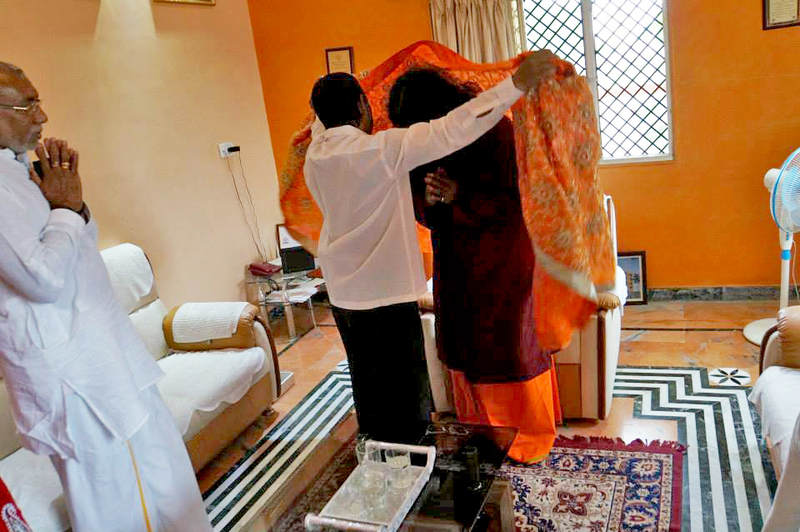 Since Guruji told me that HE was going to stay with me, I had arranged a bed for Guruji near my Pooja room. My co-brother Mr. Vasudevan and I were sleeping near Guruji’s bed. When we got up around 5.30 am to go to a Hanuman Temple, we saw the same Butterfly came out from the bed and sat again on the wall. All of us saw the Butterfly in the morning and it disappeared around 7 o’ clock. I had sent a message to Guruji in the evening asking whether the stay was good and comfortable. Guruji’s reply was “Yes, it was nice. You know, I always do my job” !! Three days ago something strange happened, not short of a miracle. I’ve waited for the things to settle for a few days to see if everything really was as it looked. At 7a.m. somebody rang the doorbell. Who could that be so early? Very strange. My family were in beds and nobody bothered to get up. After some time the bell rang again. We opened the door and saw a neighbour from the flat right below ours, on 1st floor. He said his flat was flooded, and asked whether the water came from our flat. In our building, which is a 14-floor-skyscraper, water started leaking on 3rd floor right above my flat. It flooded 3rd floor on our side of the building and leaked down heavily on 2nd floor as well where I live. The wall in the hall outside our flats had wet spots and the floor tiles were darker from being soaked in water. It is the same wall of our pantry from the outer side. It flooded the flat near mine as well. The wall in the hall outside our flats had wet spots and the floor tiles were darker from being soaked in water. The neighbour next to us asked whether our room i.e. pantry next to her flat was wet or flooded. I checked several times and said no. The wall inside our pantry was and fortunately still is totally dry. How did the water go from above, from 3rd floor above us to 2nd floor next to us and again to the 1st floor right below us!? There is no logic. Following the laws of physics, it would leak and at least permeate the walls of our flat and let alone flooded the pantry or the kitchen. Perhaps the water manoeuvred, avoiding our flat by coincidence. As I don’t believe in coincidences, I attribute it to the invisible energy shield of protection I got from Mohanji’s blessings and especially Shiva Kavach mantra that I listen to daily. Abundance of gratitude to Mohanji’s omnipresence and protection.